The Strategic Procurement & Supply Management Body of Knowledge® (SPSM-BOK®) is a collection of authoritative educational materials and documented best practices. Together, these materials represent the core skills and knowledge, referred to as competencies, required within the procurement profession. This collection is designed to help procurement professionals to overcome the majority of challenges they face and to succeed in practically all aspects of their work. Individuals: To learn more download a copy of the SPSM-BOK® Framework For Individuals by clicking here. 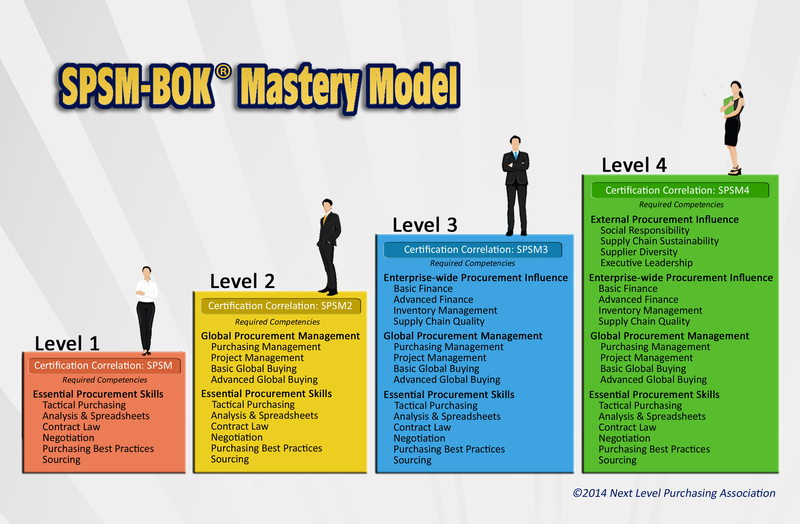 Procurement Leaders: To learn more download a copy of the SPSM-BOK® Framework For Teams by clicking here.